Another holiday season is upon us and many are absorbed with Christmas shopping and looking for that gift that is just right for each one on our list. As one grows older the list seems to grow longer. 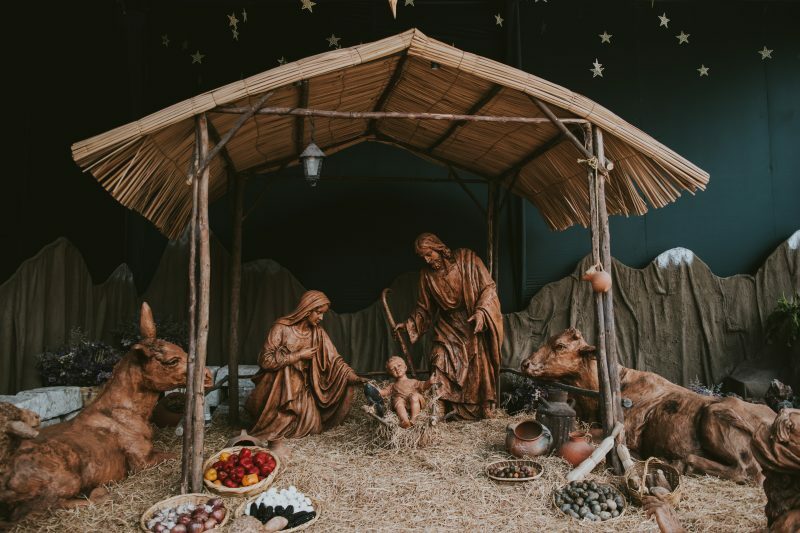 It is easy to allow our focus to shift from the real meaning of Christmas. Each year I am reminded of how the hustle and bustle of shopping can cause our attention to focus more on things than on people. It is very easy to allow our focus to shift from what the real meaning of Christmas is to things that are far less important. Most of you probably do not know who Hugh Haynie is, or should I say was; he died in 1999. Hugh was a political cartoonist. His cartoons could be seen in the Louisville Courier-Journal on the editorial page. But his work was often published in the newspapers of America because Hugh had a way of making his point very clearly in the cartoons he drew. I grew up in Jacksonville, FL reading the Florida Times-Union. Every year at Christmas time one of Hugh’s cartoons ran in the Florida Times-Union that even as a boy touched my heart with its simple truth. I think it was published in the Christmas Eve edition, but I began to look for it every year. That first Christmas was not celebrated then as it is now, nor attended with the same attention it receives today. In the grand scheme of things the birth of Christ went relatively unnoticed. The nature of Christ has not changed in over two millennia, He did not force His way into the inn then and He does not force His way into our thoughts and hearts today. Will His birth go unnoticed? If we are not careful His birth and its significance will go, even amid the lights and festivities, as unnoticed today as it did then. Now let’s see. Have we forgotten anyone? “Joseph also went up from Galilee, from the city of Nazareth, to Judea, to the city of David which is called Bethlehem, because he was of the house and family of David, in order to register along with Mary, who was engaged to him, and was with child. “While they were there, the days were completed for her to give birth. And she gave birth to her firstborn son; and she wrapped Him in cloths, and laid Him in a manger, because there was no room for them in the inn,” Luke 2:4-7.